Introduction: On September 13, 1376, the Papacy returned to Italy after some seventy years spent in Avignon, on the banks of the Rhône. By 1376, the circumstances that had kept the papacy away from its traditional seat had evolved. The Hundred Years War and rebellions in Rome and the Papal States were in remission, and Gregory XI, intent on returning the papacy to its historical location, concretized the move. Gregory did not enjoy his accomplishment for long: he died on March 27, 1378. A few days after his death, the first Roman conclave opened since Nicholas IV was elected in 1287, close to one hundred years previous. Sixteen cardinals were present: eleven French, four Italian, and one Spanish. Regardless of internal divisions within the conclave and a noisy crowd chanting words like “We want a Roman pope—or at least an Italian. If not, we’ll cut you to pieces!,” the cardinals chose Bartolomeo Prignano, archbishop of Bari, as Pope Urban VI. A well-qualified curial servant, Urban had never belonged to the cardinalate. Crowned on April 10, 1378, the man was changed by the office. Urban VI was rigorous and a man of integrity, but he could also be temperamental and violent. Displeased French cardinals eventually moved out of Rome to Anagni. 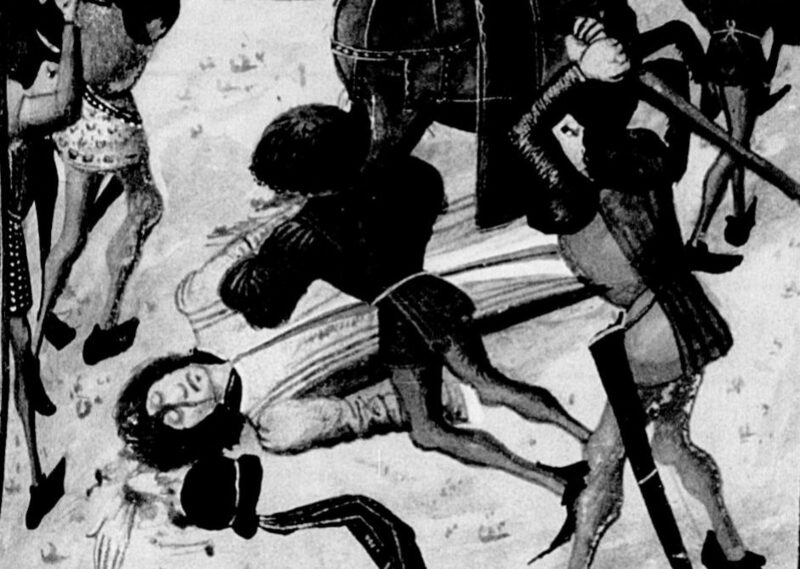 On August 2, 1378, the cardinals publicly questioned the election, and on August 9 they denounced Urban as illegitimate by reason of procedural impropriety, as the election had taken place under duress and violence. They labeled the pope intrusus (usurper), and anathematized him.